• The rebuilding of the city by Galilee’s ruler, Herod Antipas, may have attracted the building tradesman Joseph and his wife Mary to settle in Nazareth when they returned with Jesus from Egypt. This major building site, 50 minutes’ walk from Nazareth, would have offered Joseph many years of employment. It may also be where Jesus gained insights into the building trade — such as the need to build with foundations on rock rather than on sand (Luke 6:48-49). 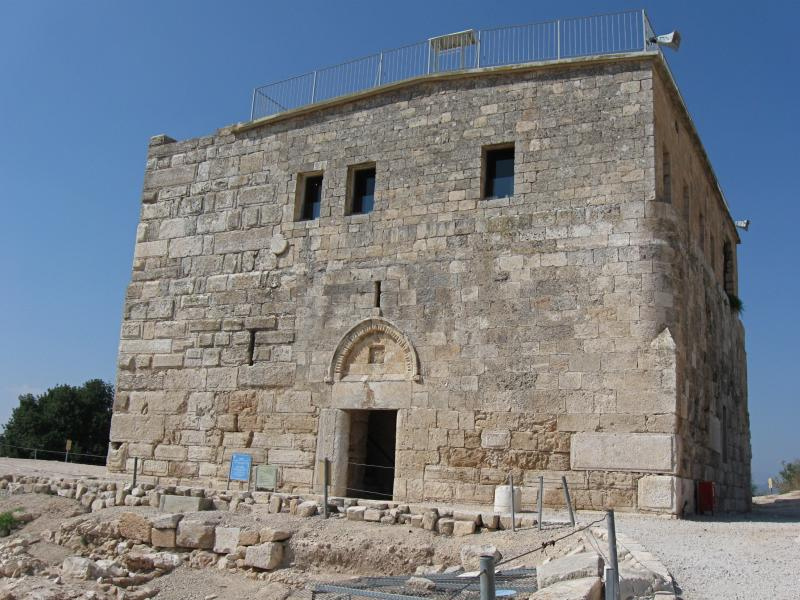 • According to tradition, the original home of Mary’s parents, Joachim and Anne (or Anna), was at Sepphoris. 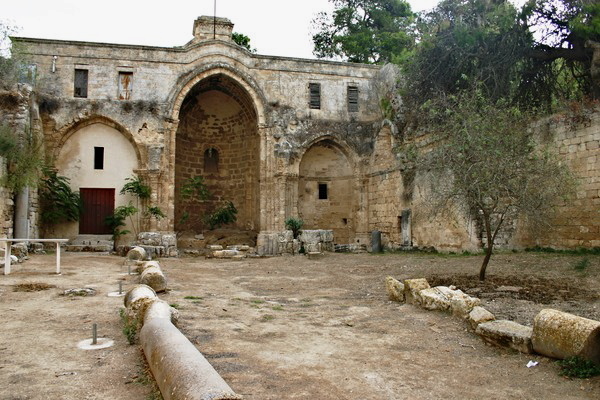 During the 12th century the Crusaders built a huge Church of St Anna, possibly on the site of their home. Sepphoris rose to prominence during the century before Christ because it overlooked two major highways. A mainly Jewish city, it was given its Hebrew name, Zippori, because it sits on a hilltop like a bird (zippor). According to the historian Josephus, Herod Antipas made it “the ornament of Galilee”, a term also implying the military connotation of an impregnable city. After the destruction of Jerusalem in AD 70, Sepphoris became a centre of Jewish learning and seat of the Sanhedrin supreme court. The Mishnah, the first authoritative collection of Jewish oral law, was compiled here. A Christian community was present by the 4th century. By the 6th century it was sufficiently large to have its own bishop. It was from Sepphoris that the Crusaders rode out in 1187 for their defeat by the Muslim sultan Saladin at the Horns of Hattin, overlooking the Sea of Galilee — a defeat that brought about the end of the Crusader Kingdom of Jerusalem. Sepphoris has worn many names during its history. 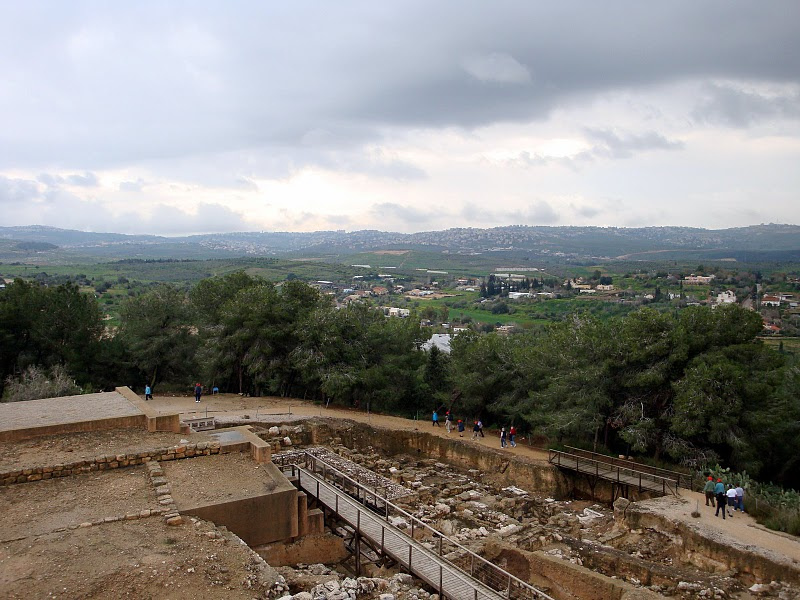 It was Zippori (or Tzippori) when Herod the Great captured it during a snowstorm in 37 BC. After Herod’s death in 4 BC the Roman army put down a rebellion of Jewish rebels by destroying the city and selling many of its people into slavery. When Herod’s son Herod Antipas rebuilt the city, he renamed it Autocratoris. Because the inhabitants chose not to join the First Jewish Revolt against Rome in AD 66-73, the city was spared the destruction suffered by other Jewish centres, including Jerusalem. Evidence of the city’s pacifist stance comes from coins inscribed “City of Peace” minted there during the revolt. Before the Second Jewish Revolt in 132-135, the Romans changed the name to Diocaesarea. A massive earthquake in 363 devastated the city and it was only partly rebuilt. The Muslim conquest in the 7th century saw another name change, to Saffuriya. Except for a period as La Sephorie under the Crusaders, this name remained for what became an Arab village until the population of about 4000 fled attacks by Israeli forces during the 1948 Arab-Israeli War. 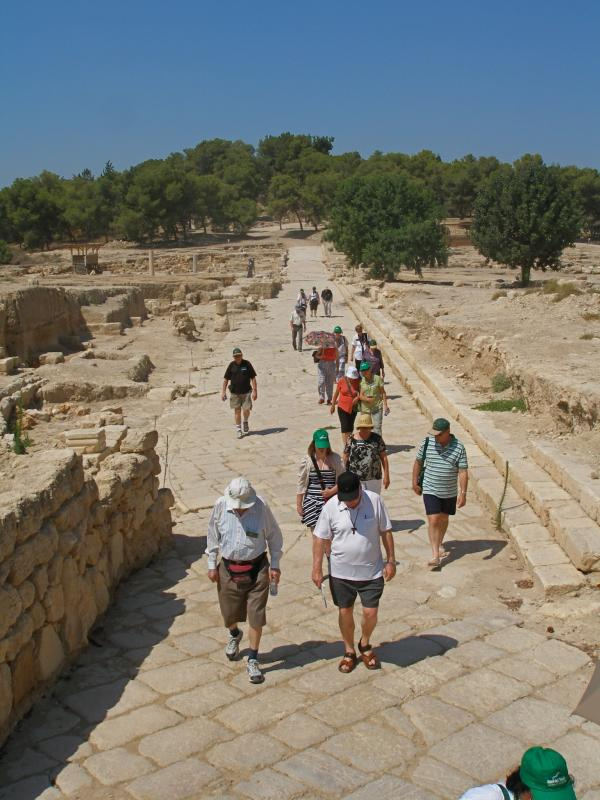 Excavations at Sepphoris have uncovered streets, houses, public buildings, bathhouses, a market, two churches, a synagogue, a Roman theatre, aqueducts, a huge elongated water reservoir (260 metres long) and more than 40 mosaic floors. A Crusader fortress, built on the remains of an earlier structure, dominates the upper part of the site and provides a panoramic view from its roof. It now houses a museum. To the west of the summit, on the northwestern perimeter of Sepphoris National Park, are the remains of the Crusader Church of St Anna. Inside a walled enclosure, the three apses are still standing, now incorporated into the western wall of a modern Monastery of the Sisters of St Anne (where the key to the enclosure is available). Northeast of the fortress is the Roman theatre, its tiers of 4500 seats carved into the northern slope of the hill. Biblical scholars have conjured with the possibility that Jesus might have known this theatre and even taken from it the word “hypocrite” — Greek for one who is play-acting — which he frequently used (in Matthew 6, for example). But archaeologists are uncertain whether the theatre was in use when Jesus lived in Nazareth. On the northern edge of the park are remains of a 6th-century synagogue with a mosaic floor depicting biblical scenes, Temple rituals and a zodiac wheel. Just south of the Roman theatre stood a palatial mansion built in the 3rd century AD. Known as the Dionysus House, it was destroyed by the earthquake in 363, but the remarkable mosaic carpet in its stately dining room survived well-preserved under the debris. The 15 centre panels depict scenes from the life of Dionysus, the Greek god of wine and revelry, bordered by medallions of acanthus leaves with hunting scenes. Each scene is labelled with a Greek word — a panel displaying a completely inebriated Hercules is labelled MEQH, meaning drunkenness. 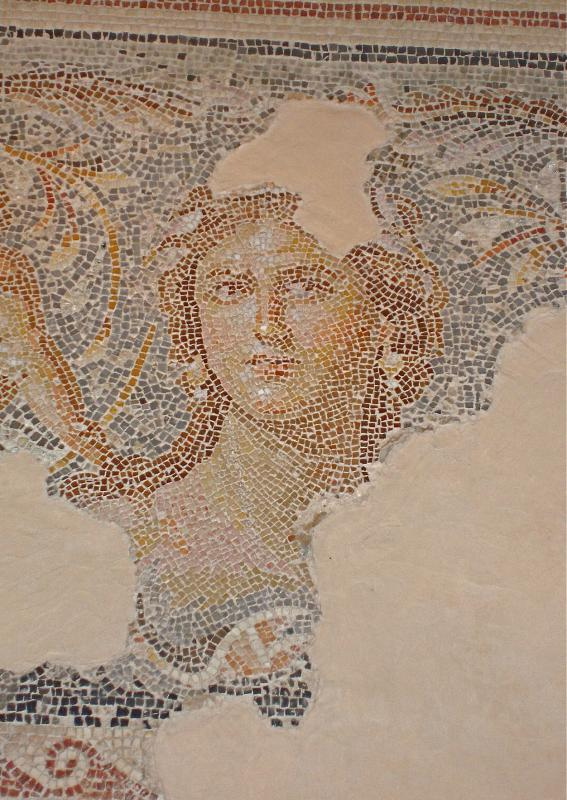 But the most remarkable feature of the mosaic floor is an elegant portrait of an unknown woman at the centre of one end. The engaging tilt of her head and enigmatic expression have earned her the nickname “Mona Lisa of the Galilee”. The unknown artist of this portrait used tiny stones, in a wide range of natural colours, and with an exquisite attention to detail and shading. An impressive network of well-planned streets has been exposed in the lower city. Two major intersecting streets, the north-south Cardo and the east-west Decumanus, had covered footpaths and shops on both sides. East of the Cardo, a large building called the Nile House had some 20 rooms decorated with multi-coloured mosaic floors. The most elegant depict scenes associated with the River Nile in Egypt. In the most impressive mosaic, the river flows through the picture and wildlife such as fish and birds are seen along its banks. On the left a reclining female figure with a basket of harvest fruits personifies Egypt; on the right a male figure represents the Nile. In the centre a man standing on a woman’s back records 17 cubits (about 8 metres) on a nilometer — a pillar with a scale to measure the height of the Nile during its seasonal flood. The lower portion shows hunting scenes: A fierce lion pouncing on the back of a bull, a panther leaping on a gazelle, and a boar being attacked by a bear. 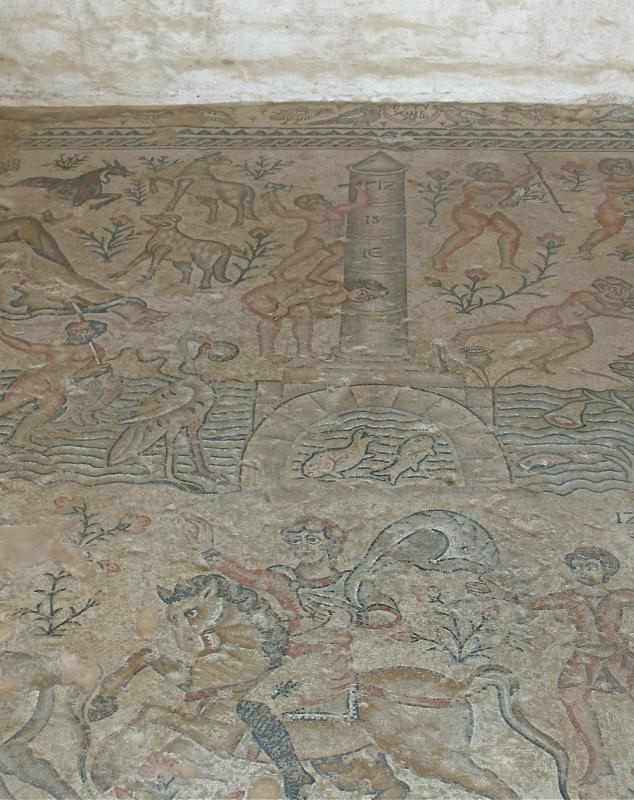 Other mosaics in the building include a depiction of Amazon warriors hunting from horseback. Open: 8am-5pm (4pm Oct-Mar) with last entry one hour earlier; closes at 3pm on Fridays and eves of Jewish holidays.